It's been so long since I have grocery shopped you are all probably wondering if we have eaten at all in the last few weeks. I finally made it to Publix Thursday after about two weeks of surviving on things from the freezer and eating down our fridge. We also recently made a change to our grocery budget that has helped me avoid the grocery store as well. As you may know, We have a weekly cash grocery/household items budget of $80. (Read more about it HERE) I supplement that budget with gift cards from blog promotions or rebates as well. Many weeks we are way under $80 so I just roll that cash into "excess grocery money" and save it in case we go over in the future. I also use that extra cash to pay for our twice a year Zaycon chicken order too. We found that we were ending up with lots of extra grocery cash which was great because we used it to visit the farmers' market or pay other bills. 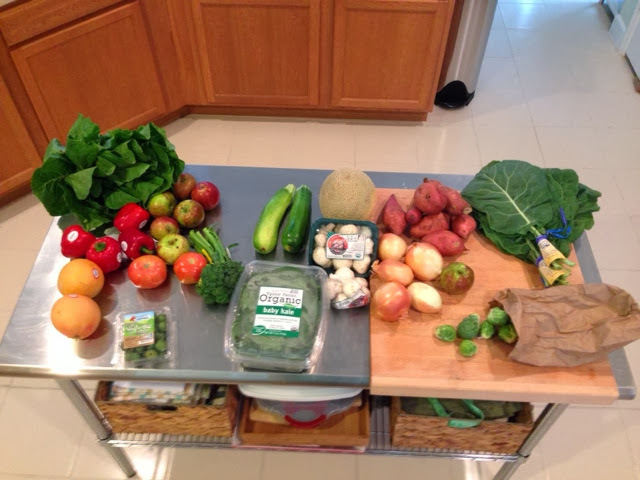 Recently we had an opportunity to join an organic produce share and we decided to try it for awhile. We get our share every other week and pay $45 for each share. We are loving it so far. We may not have a ton of extra cash in our household budget but the chance to have a variety of produce every other week is well worth it. Not only do we get fresh organic produce but it working out to be a much better deal financially than buying everything at Publix. We are having to think outside the box recipe wise but it has been fun. It was a good time to introduce it into our budget as well since I had $75 in Publix gift cards from My Blog Spark promos so I have been able not spend any cash for groceries lately (this week included) which is allowing me to build up some reserve cash to cushion the expense of the produce over the next few weeks. 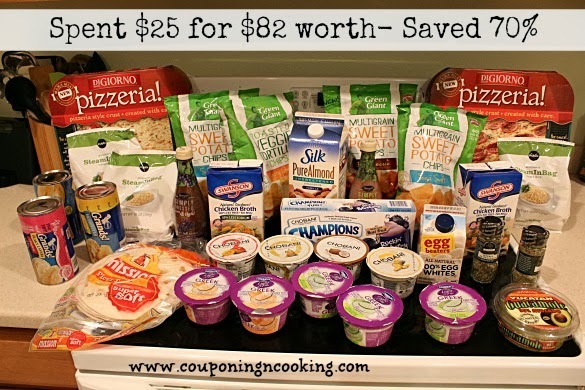 I only spent $25 of my gift cards this week and I was very happy to replenish our yogurt supply and grab a few super deals too. Our fridge is looking full again and our freezer will be very full in two weeks when our fall Zaycon order arrives. I am really hoping to get back on schedule for real this time and get back to my weekly Thursday trips and posts.